V-day is near and none of the single people are filled with cheer… except ME ME ME!!! A couple years ago I asked my daughter to be my valentine and she gave me a nice version of “h*ll, f*ck NO!” smh, I didn’t wanna be her valentine ANYWAY!!! 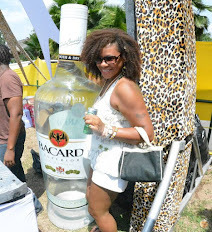 Plan B was to do what I do best… Party like a soca star!!! Each year that’s exactly what I’ve done & it only gets better & better. Last year’s Valentine’s celebration was spent at Mardi Gras in New Orleans and this year ‘s shall be spent back up in DC with one of my besties *burrrr*. The perfect part is Valentine’s is on a Monday and I have to be back in Atlanta for my 7pm-10pm class, giving her ample time to chill with her boo. How could you NOT look forward to Valentine’s if you did something Kick A$$ for yourself each year?!?! So in honor of loving to celebrate V-day in my own special way, I’ve done some *hearts hearts* nails (Which I’m sure I will redo with summin a lil less sloppy b4 I fly out). My friend told me about this super cool Sally Hansen nail art pen she got that makes nail designs 10x easier (cause ya know Im still tryn to draw that hot dayym alien on my daughter’s nails). I went to get one (JUST ONE cause they are $8 and I’m cheap) but I just couldn’t decide on a color cause I needed all of them. I decided to bootleg it *muahaha* I went to the beauty supply store & bought a $1.49 Sassi Brush that I dip in my Dolla Sto nail polish. I might have gone a lil overboard on this hand... i dunno?? ?